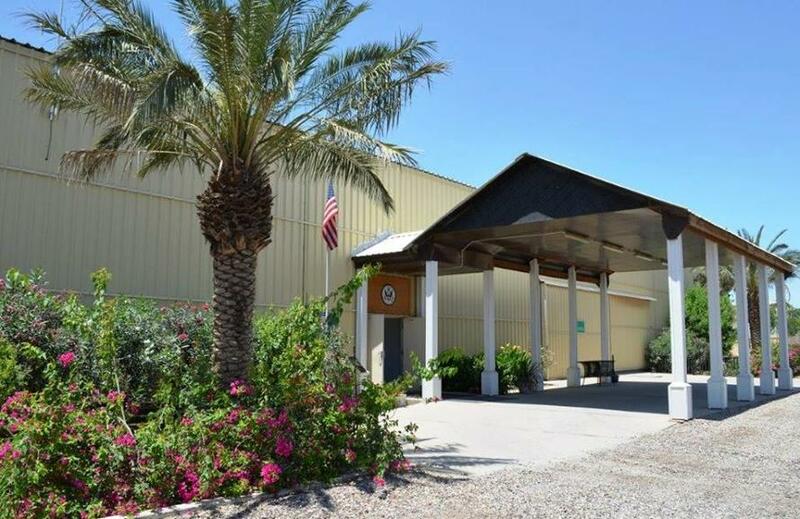 "US Embassy Baghdad will continue to provide consular services to US citizens in Basra," the State Department said in its statement referencing the massive and highly fortified US compound in Iraq's capital, which the Basra consul staff will evacuate to. It also issued an updated travel advisory for Iraq noting the removal of non-essential personnel from Basra. Pompeo explained the evacuation order further as, "Threats to our personnel and facilities in Iraq from the Government of Iran, the Islamic Revolutionary Guard Corps Quds Force, and from militias facilitated by and under the control and direction of the Quds Force leader Qasem Soleimani have increased over the past several weeks." Pompeo further noted that "there have been repeated incidents of indirect fire from elements of those militias directed at our Consulate General in Basrah and our Embassy in Baghdad, including within the past twenty-four hours." "I have advised the Government of Iran that the United States will hold Iran directly responsible for any harm to Americans or to our diplomatic facilities in Iraq or elsewhere and whether perpetrated by Iranian forces directly or by associated proxy militias," the Secretary of State said. But also amidst the early September protests ten pro-Iran Shia militias in the country had published a statement vowing to expel foreign troops and advisers by force if they didn't immediately leave Iraq. 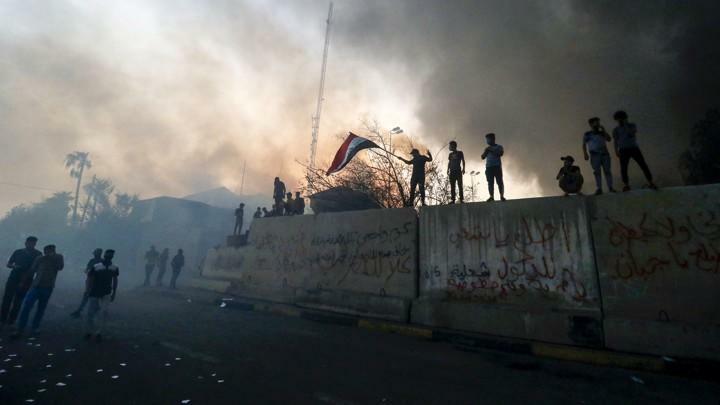 “We will deal with them [foreign troops in Iraq] as occupying forces, and we will use our legitimate rights by employing all possible means to force them out of the country,” the Iraqi factions warned, adding that foreign troops were "in their sights". The statement also alleged an “Anglo-American-led dirty and dangerous conspiracy to impose a devilish coalition” on the people of Iraq which seeks to weaken the government and make Baghdad a puppet of Brett McGurk, who is the White House appointed special envoy for the anti-ISIL coalition. Meanwhile in a speech given before Friday worshipers in Tehran Iranian officials issued threats against the United States military, and laid down "red lines" against US allies Saudi Arabia and the United Arab Emirates. Iran has blamed the US and its Gulf allies for sponsoring a terrorist attack on a military parade in the southwest city of Ahvaz last Saturday which killed 25, including IRGC personnel among the victims. "If America does anything wrong, their bases around Iran would not remain secure," Ayatollah Mohammadali Movahedi Kermani was quoted as saying by Mizan news agency while leading Friday prayers in Tehran. And simultaneously the Fars news agency quoted Brigadier General Hossein Salami, deputy head of the IRGC, as saying in reference to the Saudis and Emirates: “If you cross our red lines, we will surely cross yours. You know the storm the Iranian nation can create."